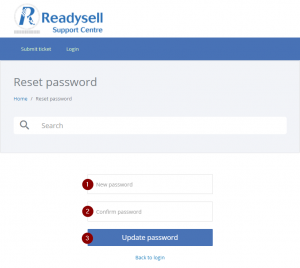 To help better serve our customers, Readysell has a new helpdesk system. To use the new system online for submitting, viewing and responding to tickets, you will need to set up a new password. 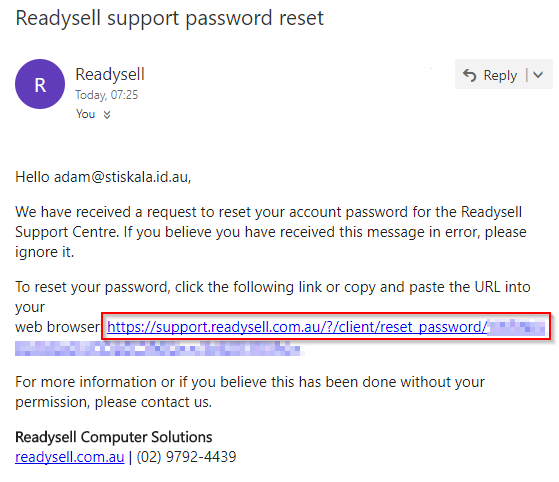 Go to https://support.readysell.com.au/index.php?/home/forgot-password then enter your email address and click “Send”. 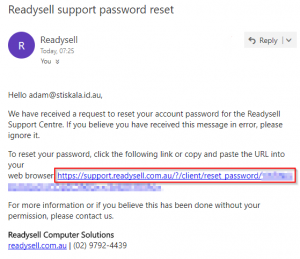 You will be emailed a link that will take you to the password reset page. Find the email and click on the link. Create a new password and type it in twice, then click “Update password”. We suggest you use a password manager so that you can create strong passwords, not only here, but across the internet. Learn more at the Readysell Security Guide. You’re all done! You can go to support.readysell.com.au at any time and log in with your new password. Why can’t I see all my company’s tickets? 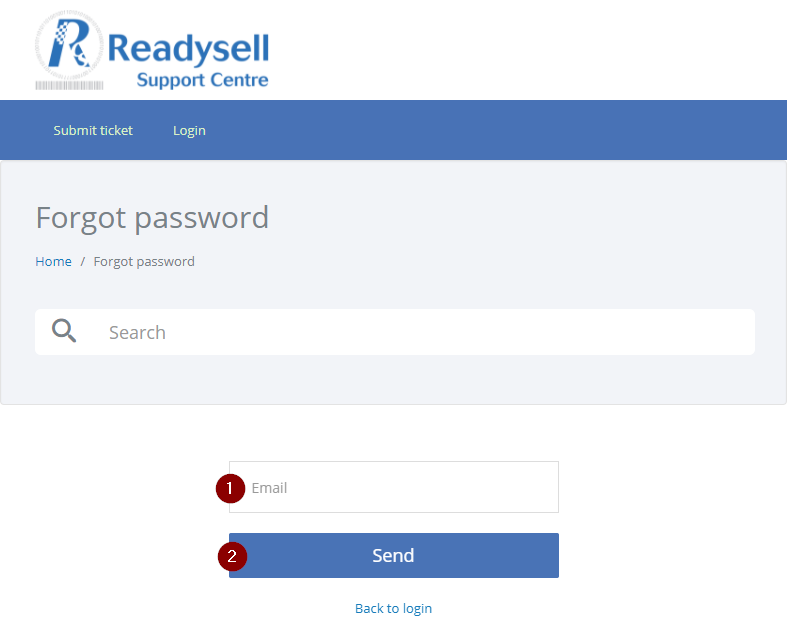 You may have lost the capability to see tickets from other users in your organisation. We’re in the process of restoring these linkages and you should have this capability back soon. If you need this feature and want to move up the queue, please submit a ticket and we’ll get you set up sooner. We are in the process of re-enabling online access to past invoices. We should have an update on this in the next week or two. Where did the Readysell 7 documentation go? We’ve moved this to our wiki at https://readysell.atlassian.net/wiki/display/RSELL7 – this should make the documentation easier to access and search.